Our classroom is open tomorrow, January 17 and on Thursday, January 24 for Super Sew Day! Bring your machine, project, and supplies and sit with friends for a day of sewing. Save up to 65% on Holiday Fabric! Going...going...almost gone! Shop online and we will ship or call when it's ready to pick up. Visit our website to see all of the festive prints! 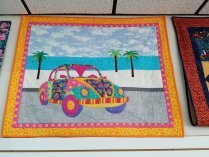 BERNINA Creative Studio will be our educational program for 2019! 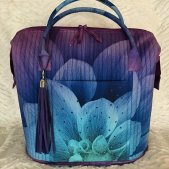 We will offer monthly classes in sewing, embroidery, and software. In addition, there will be quarterly classes on BERNINA feet, DesignWorks, Free Motion Quilting, and using BERNINA overlockers (L450 & L460)! Click here to preview the January Calendar. 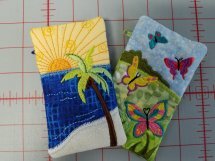 February features the BERNINA Academy on February 8&9. We will have this event in the Community Room at Santa Rosa Mall. BERNINA machines and all supplies are included! Sign up for this two-day event before we run out of seats! Click here to preview the February Calendar.